Advanced Style: 60, 70, 80 and fabulous! After writing about the Kiddie Style, I thought I might also give some airtime to the Advanced Style of our elders. Advanced Style is the blog of Ari Seth Cohen. He roams the streets of New York looking for the most stylish and creative older people. These ladies and gents can teach us a thing or two about living life to the fullest. I have lots of respect for these women. Somehow, they all look so free in their creativity. It’s envious. Most of the younger girls out there seem to be more caught up in following trends and trying so hard to manifest themselves. Browsing through all the blogs of 20 somethings, I see lots of “uniforms”. These women are unique and are just have fun with it. 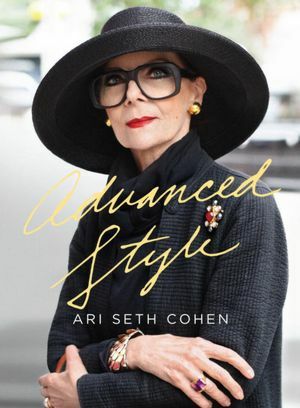 After publishing his book earlier this year, Ari Seth Cohen is now working on The Advanced Style Documentary. He has been filming and interviewing the amazing ladies of Advanced Style for over three years now and is currently finalising post-production and editing of the film. Hitting theatres some time 2013. This entry was posted in Fashion and tagged Advanced Style, Ari Seth Cohen, documentary by sofischoice. Bookmark the permalink.